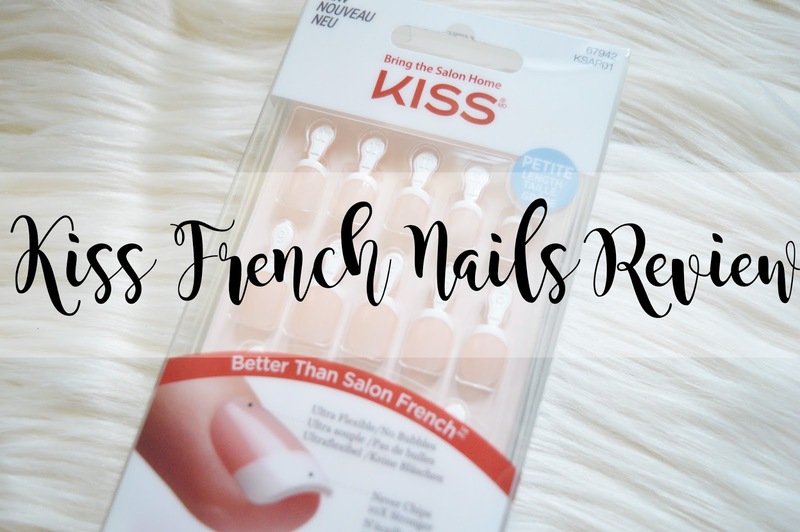 I was kindly sent some beautiful Acrylic french nails from Kiss USA and I am absolutely in love with them! I used to love creating my own acrylic nails, having them round, square, pointy; however I wanted them, I was able to create using the acrylic powder and liquid just like salons but working in a nursery at the time made this rather difficult, especially when I had play dough stuck underneath them. However, having the acrylic nails which you can glue on makes it so much easier to have beautiful nails whenever you would like too! As most of you may know, I absolutely love painting my nails and I do not feel myself unless I have my nails painted! My nails are a part of me and define who I am. Although I work in a primary school, I still sneakily paint my nails brightly coloured even though I'm technically not supposed to. I know I am a school rebel! The only issues with my own nails is the bad habit of biting them and when I'm feeling nervous, stressed or bored, I either pick my nails or I bite them rather short. Disgusting, I know! It's a habit I am tying to get out of. However, these Kiss Nails are perfect for this bad habit as I'm unable to bite my own nails, and these are too pretty to bite and it doesn't have the same effect either! What I love most about these is how they're so natural! The french tip isn't too thick and they're petite too so they look like your natural nails, but better! I've had so many people ask me if they are my own nails, and I've always had to say no! But I do wish they were. I can't forget how well they stay on as well. I have tried so many false nails which use glue to apply them and after washing your hands a couple of times, they fall off because the glue just isn't strong enough! However, I wore these for longer than a week and they're still holding on! They're incredible! Although these nails are not on the website, they have very similar ones here (I think they're the exact ones just in a different packaging). As well as a longer french tip set with an added bit of sparkle which you can find here. They are absolutely stunning for a natural nail look! I have rather large nails, however this set included 13 different sizes which is amazing for a pack of glue on false nails! I have never found any with so many different sizes! These are also numbered so you don't have to hunt for two nails which are the same size, they have already done it for you! Thank you Kiss USA for saving time for me! You are fabulous! Although there are 13 different sizes, this set of french nails includes 28 nails in total. The length is short so they are perfect if you work in a job where you need to use your hands a lot and you're heavy handed like me! I find with long nails I catch them on absolutely everything and I end up ripping them off! I have recently painted these nails too, to save me taking them off to then paint my nails a different colour and nail varnish applied beautifully and it has lasted a long time too! (Probably longer than what it would have if I applied nail varnish to my own nails). Overall, I absolutely love these nails! They are a great quality, long lasting, no too long and they look like your own nails but better! I highly recommend these for anyone who doesn't have the time to do their own nails or for someone who doesn't have the money to go to a salon but has enough money for high quality acrylic glue on nails. Kiss USA have a wide range of different colours, lengths and sizes so they will suit anyone's requirements! What's your favourite brand of false nails? Or do you go to a nail salon? These look so natural! Great post lovely! Oh gosh, I agree. I like acrylics but everything get stuck under them. But it did help me stop biting my nails. They look beautiful though!! I've never tried to get the french manicure on my old acrylics, I might consider it again!